March always brings ripening red chillies, especially to my favourite market garden up the road. This year’s first small batch of sauce was made with mild poblano chilli, a small amount of very hot manzano chilli, capsicum and de-seeded tomato, all roasted and smoked with hickory, and simmered in vinegar, lime juice, onion, garlic, toasted ground cumin and honey. Produce from Penray Gardens, March 2015. Clockwise from bottom left: bhut jolokia chilli (800,000 SCU), red capsicums, tomatoes, poblano chilli (2,000 – 5,000 SCU), manzano chilli (250,000 – 300,000 SCU), experimental smoky chilli sauce 2015, Batch #1. 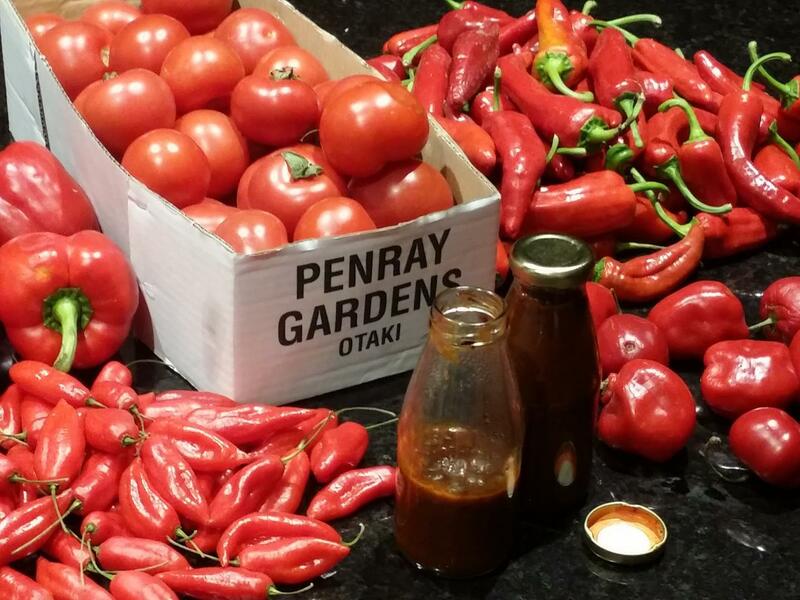 Penray Gardens have pick-your-own chillies and capsicums for very good prices, and tomatoes for $2 a kilo. This haul is just under 8 kg (17 lb) of ingredients for around $30, which is good for 3-4 litres (a gallon or so) of sauce. 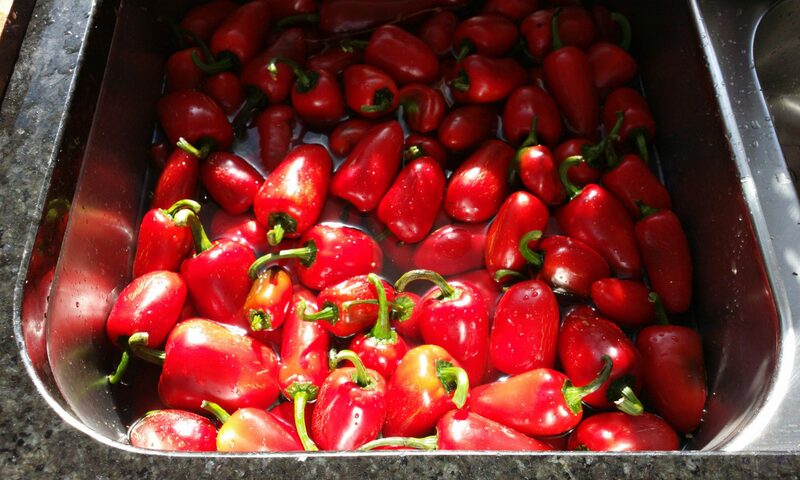 I’ve also got enough bhut jolokia here to make an extremely ferocious hot sauce too. I have also discovered that my Smokai smoke generator works much better when I undo the nut, pull the back off and clear all the tar out of the air intake. So good in fact, I’ve had some good feedback that this sauce might actually be too smoky, and I don’t want to make the same mistake many NZ craft breweries make with their hops. Sometimes more is not better! I’ll do a post soon about my experiments with smoking food, methinks.